Here's why you should encourage your child to participate in "pretend play". Children are often described as having an overactive imagination, and can usually dream up some of the craziest play-time games. But pretend play is not just about fun and games, it can also help early childhood development. Parenting expert Nikki Bush says your child can learn a number of skills from fantasy play. “Pretend play is essential and gives children an outlet to create their own understanding of various dynamics in their lives,” she said in a statement. Here are three reasons why you should happily pull out a chair for your child's imaginary friend when he/she shows up for dinner. Bush says one of the major benefits of pretend play is that it allows kids to get things off their chest. “Young children don’t necessarily have the language to convey how they are feeling, yet they experience such strong feelings, which are easier to play out during pretend play. Children talk to themselves and each other often during let’s pretend games, and this means they verbalise as they act, talk things through, which becomes a form of self-therapy." 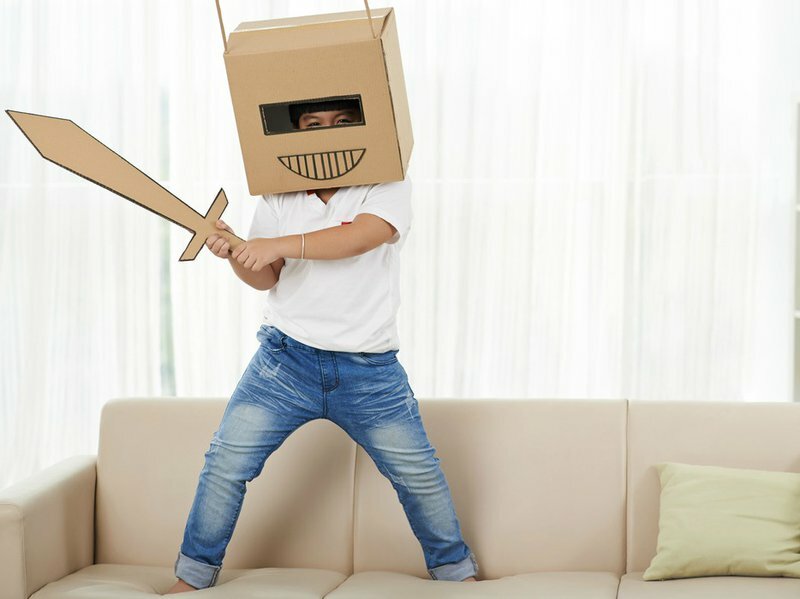 Imaginative play, according to Bush, can help a shy child take on a more confident role, like playing a strict parent. She says this type of imaginative play helps children learn emotional and social skills necessary for a child’s early development. Mediclinic Panorama clinical psychologist Chrismari Herholdt agrees. Children’s lives can be greatly enriched and enhanced if parents encourage fantasy and pretend play. "Children experiment with social and emotional roles of life when they pretend play and these roles are important to develop social skills like sharing, problem solving and taking turns. Fantasy play also places no emphasis on social circumstances or a particular cultural group, and is an inexpensive way to play. It also keeps children away from electronic devices, which is an added bonus in a world where children no longer play the way they used to." Bush says fantasy play also allows children to escape from reality and "helps them establish how they feel about life in general. Children’s lives can be greatly enriched and enhanced if parents encourage fantasy and pretend play. Parents who allow children the gift of fantasy or role play are helping them to create a better reality. " Toys are a great way to help children explore their imagination, Bush adds.